WHAT’S ON AT THE ASHRAM? During the full moon you are shown clearly what you need to change or shift in your reality to manifest what will serve your highest potential. The full moon illuminates the shadow consciousness within you. It brings light to the dark. Look at what it reflects to you. Then bring harmony to all that is being reflected to you at this time. Ishtar's full moon healing meditations help you to do this and bring about transformation in your life. During this ceremony we call upon the Ascended Masters and the Angelic realms to support and assist you through the energy that you will encounter over this full moon time. "This April Full Moon in Libra highlights the Aries / Libra polarity as the Sun is exactly opposite in Aries and as this is the second Libra full moon in a row and falls at the final degree of Libra it emphasizes both the challenges and opportunities inherent in the Libra Aries polarity. My sense is that the double hit of Libra is asking us to find fair and peaceful solutions to issues in personal, local and global affairs. With Uranus conjunct both the Sun and opposite the Moon it is essential to beware of our own impulsive behaviour and try not to over react to others’ aggression. Uranus is known as the Great Awakener so there is the potential for major ‘ah-ha’ moments if we can give ourselves some space and open ourselves to insight. The challenge is to not fall prey to His shadow energy which can be restless and overstimulating to the point of mania; the Uranian urge for change can also become rebellious and contrary, activating the saboteur archetype. If you feel more wired than usual, see if you can accept the challenge to find a constructive outlet for the energy rather than acting in a way that is reactive and impulsive. Generally speaking we are challenged to balance our Libran need for partnership, co-operation and compromise with the Arian need for independence and autonomy. Libra is concerned with fairness, equality, balance, harmony and is relationship or other-focused and inclined to compromise for the greater good while the Aries embodies the masculine Warrior archetype and is active, dynamic, competitive, forceful and egocentric. The full moon may bring to focus where we are out of balance [personally and collectively]. Remember, it is often though the mechanism of projection that we see this more clearly." Note: As the Full Moon rises in the final degree of Libra it signals a time of ending and release. Rai'shael on (02) 43 41 2003.
are you ready to take your life to a whole new level in 2019? 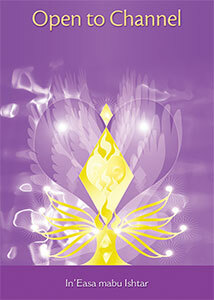 Are you wishing to open to receive the guidance and support of your sacred spirit ~ your Divine Self? Are you wishing to open to your higher potential? Are you wishing to discover the special gifts that you hold within? Are you wishing to find inner peace and a calm within you that you have never known and stop reacting to the world around you? If yes then OPEN TO CHANNEL IS FOR YOU. An advanced course for anyone wishing to deepen their spiritual connection and learn to open their divine channel to discover the many gifts and wisdom they hold within. 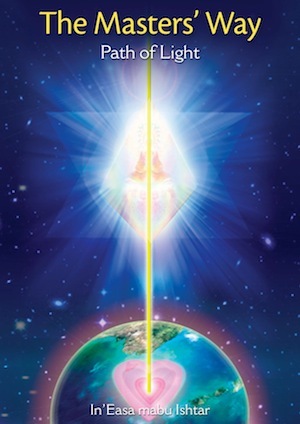 * Be guided and supported by the Masters, your guides and your Mentor ~ as we together we walk this path of discovery, connection and expansion. Starting Thursday April 4, 2019, 6.30pm-8.30pm (weekly) in Umina Beach and in Sydney in late March. Would you like to enhance and grow your spiritual connection and receive new energy and insights into your soul? Would you like to do it through a regular group meeting each week where you are supported and assisted to grow and be all that you are? For more information on when the next class begins contact Ashram of the One Heart on 43 41 2003.